Stewardship events for 2019 are in the works! We had another incredibly successful year thanks to YOU and your hard work and dedication. In 2018, our Stewardship Program had 369 volunteers who contributed 3,021 hours of labor! Without your effort, time, and energy, this would not have been possible. Thank you so much for removing litter, moving rocks, and improving our local climbing areas. Your contribution is important and invaluable. 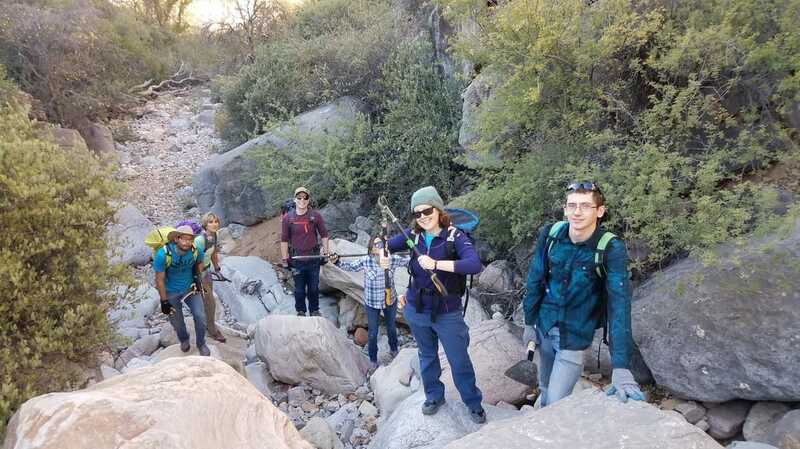 CASA’s Stewardship Program provides an opportunity for volunteers to support their local climbing areas through direct improvements to trails and access routes. We primarily work to prevent erosion and to stabilize the ground on which we walk and belay. In partnership with local land managers we build drains, check steps, and retaining walls. Our work is supported by a dedicated group of organizers and crew leaders who volunteer their time to put on several events throughout the year. Please consider coming to one of our Adopt a Crag events in this coming year. We need your help to improve our climbing areas!